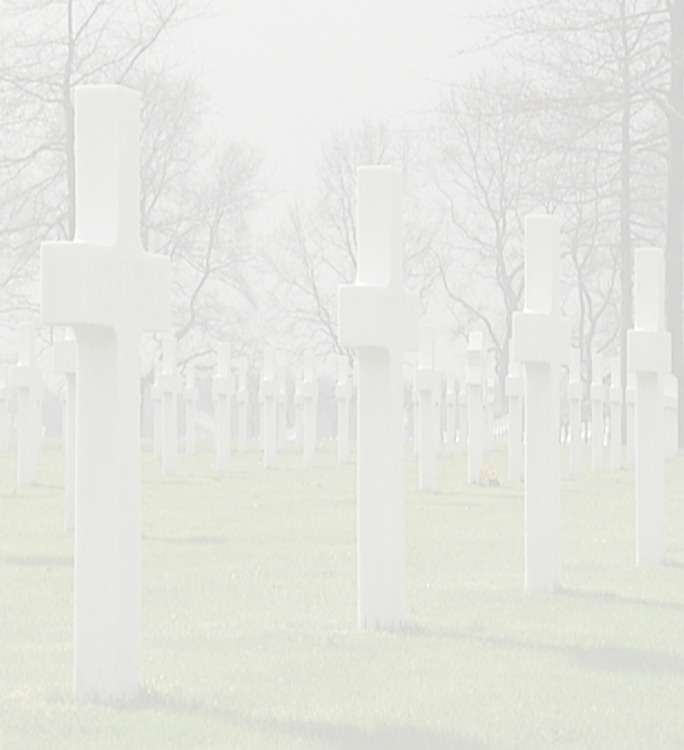 When the word came that one could adopt a grave on the American Cemetery I straightaway had the feeling, yes, this is something I’ve do to. Finally I could mean something to these soldiers. Why does this something to me is the fact that I finally can return something. With a simple thank you, with putting down some flowers and visit the grave every now and than. People of my generation don’t often think about it enough what these soldiers did for us. Most of them enjoyed their young lifehood. Had all kind of hobbies, visited schools and felt at home in their homecountry, America. But than they had to go to the far-away Europe, to fight against Nazi Germany. Away from their homecountry America, away from a safe and confident surrounding. What was asked then from those people, is something we should never forget. They’ve put their lives at risk for the Europeans. 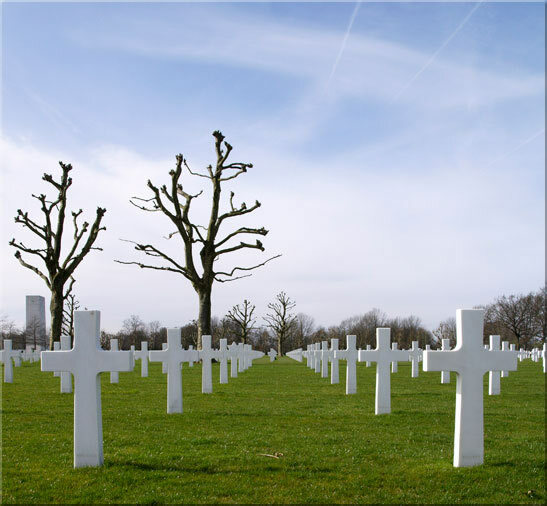 The American cemetery always had a special place for me. Our school in Margraten is named after major-general Maurice B. Rose. 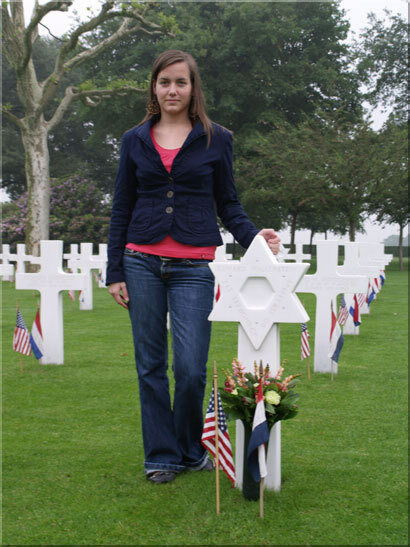 With schooloutings we often visited the American cemetery regularly. Because of this one was already confrontated with the fact that it had a special meaning. Also stories connected with it drew my attention. About 3 years ago I’ve adopted a grave at the American cemetery in Margraten. And it was the grave of 2nd lieutenant Edward Wallerstein. He was born on March 18th 1923 in St. Louis, Missouri. Before he entered the service he was in showbiz. He was married to Rose Florence, who passed away on May 12th 2000. Edward joined the forces from Missouri on May 14th 1941. He served in the 450th Bomber squad, 322 Nd Bomber group. In 1945 they were stationed at le Culot, south of Brussels and flew from there into Germany. His position was bombardier. Together with 5 collegues they formed part of the B26. On February 23 1945 he found his tragic end in Zulpich-Germany. The plane got a full hit under the cockpit. Because of this the pilot lost control and it exploded. Due to this the plane crashed on the motorway, to the right of the actual target.